Communicating with Animals Early On Supports Faster Changes in Their Behavior, Improvement in Performance, Health and Well-Being! Are you curious how animal communication works? What Animal Talk looks like? Listen in as Brenda asks Val questions about her dog friend, Eunomia! So often when you have a problem with your animal friends, you wind up doing a lot of expensive guesswork. You ask different trainers, health professionals, using different tests or procedures to try to determine what’s going on and how to help… sometimes you get lucky and find answers, and other times, you are no better off than when you started, and can even make things worse! Expert Animal communication is the first place to start with any problem. Because only your animal can tell you how they feel, what they need, what helps, where they hurt. Without knowing the answers to these questions, you can go down a rat hole very quickly with little results — and can even make things worse. Val, also called a Pet Psychic, is dedicated to resolving health, behavior, performance problems starting by talking directly with the animal. Your animal companions and partners are in many ways your best friends. They know and love you better than anyone else. They often chose to spend their lives with you, helping you in every way they can. They help you heal when you’re sad or sick, and often show you what unconditional love really means. They teach you what it takes to live life fully in every way… reminding you of what’s important, and what’s not! These invaluable lessons remind us of our humanity, our goodness – what it means to be human. They touch our hearts and help us find our way when we get lost. What your animals do makes perfect sense to them, from their viewpoint. Who better to ask then your animal friend when he is having a problem? Once it is known what’s really going on, what the triggers actually are for their behavior, and the other unknown factors that contribute to the problems, your time, money and energy can then be used wisely by getting to the root of the issue fast. Did you know your animals also mirror your issues and woundings, reflecting your pain and anger, sponging your grief, sadness and dis-ease? When they get sick or act out with behavior that is inappropriate and even life threatening, they are asking for help, telling you that the load they are carrying for you is more than they can bear! Giving your animal a voice allows them to express themselves. Learning from their own personal and unique viewpoint, we can understand what they need and why they behave the way they do. And we can enlist their participation in resolving any issue, problem behavior, or health problem. 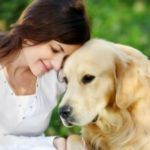 When behavior problems come up with your animals, there are times when you may want to have the guidance of someone who takes on the roll of a pet psychologist, someone who will help you get to the root cause of a behavior issue. Just like us humans need to talk to someone occasionally, so do your animal friends. Click Here to schedule an appointment with Val now! The ACCAW (Animal Communicator’s Coalition for Animal Welfare) announced a new study that shines light on the fact that animals are much more than the average preconceived notion that they are less intelligent and have fewer feelings than we humans. To the scientific community, an animal is essentially still perceived as nothing much more than a robot with an array of chemical processes, without the ability to register much more than the crudest pain or fear–certainly none of the more complicated human feelings such as excitement, boredom, annoyance, anger or suspicion. Click to read the rest of this blog post. Learn How to Communicate With Animals Yourself! 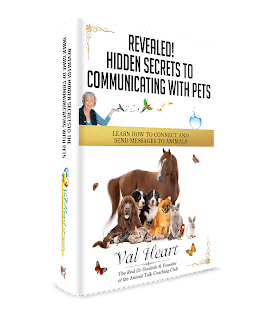 World’s 1st Complete How To Talk To Animals, The Complete System: Beginning Core Foundation Home Study Course — for Animal Lovers!